The First Squad reports the arrest of two men for Reckless Endangerment on Monday, August 11, 2014 in Roosevelt. Roosevelt, NY - August 12th, 2014 - The First Squad reports the arrest of two men for Reckless Endangerment on Monday, August 11, 2014 in Roosevelt. According to detectives, on Sunday, August 10, 2014 at 1:49 P.M. Shaheem K. Allen (pictured right), 22, of Lenox Avenue, Freeport fired three shots from a .45 caliber handgun out of the passenger window of car driven by Michael A. Wright, 27, of Beechwood Avenue, Roosevelt. The shots were fired at a male, 17 years of age in front of 91 East Milton Street in Freeport. No injuries were reported. On Monday, August 11, 2014 at 10:30 A.M. Michael A. Wright was arrested without incident at his place of employment by officers from the Bureau of Special Operations. 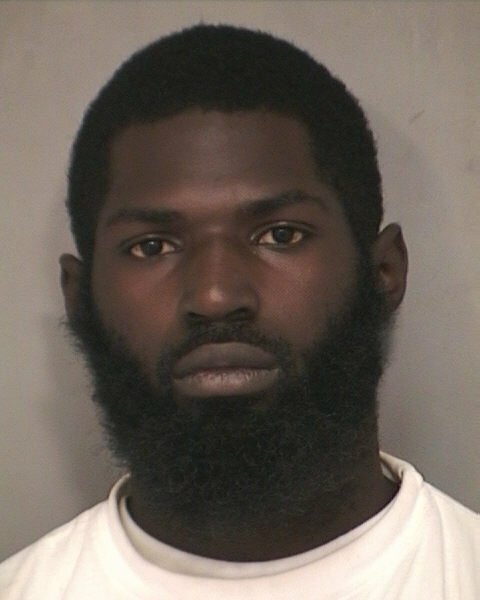 At 11:05 A.M., Shaheem A. Allen was arrested without incident by detectives from the First Squad on the corner of Seaman Court and Babylon Turnpike in Roosevelt. Both men are charged with Reckless Endangerment 1st degree. Additionally Allen is charged with Criminal Possession of a Firearm. They will be arraigned on Tuesday, August 12, 2014 at First District Court in Hempstead. Subject: LongIsland.com - Your Name sent you Article details of "Two Roosevelt Men Arrested for Shooting Handgun at Freeport Teen"